For those who downloaded The Beatles "Bootleg Recordings 1963" and are planning on burning your own CDs from the material, Jeff Levy (of AppleLog fame) created these labels. The material should fit nicely on three discs. I would have put all the BBC songs on two discs and the rest on a third. I'll get back again with a back cover (you already have a front cover). Upgrade. Direct from original master. Live fade-out (same as Roger Scott tape). Line hum at 50Hz. Upgrade. Direct from original master. Line hum at 50Hz. New material (take announcement). Upgrade. Now in stereo. Direct from original master. Final chord is faded up in volume then volume drops drastically. Line hum at 50Hz. 05 A Taste of Honey (Take 6) Missing part of take call. Upgrade. Now in stereo. Direct from original master. End is longer. End is faded up. Line hum at 50Hz. Upgrade. Now in stereo. Direct from original master. Added compression makes reverb much more apparent. Live fade-out (same as Scott tape). Line hum at 50Hz. Missing part of take call. Upgrade. Now in stereo. Direct from original master. Live fade-out (same as Scott tape). Line hum at 50Hz. Copied directly from Studio 2 Sessions, speed corrected, click removed at end. Tracks 10-14: Copied directly from Studio 2 Sessions and speed corrected. 15 Money New mix, pretty similar to the left channel of the common version, but slightly longer at the end with no fade-out. Thanks to gforce for analysing these tracks. We can add that both the demos, tracks 58 and 59 sound exactly like they used to on several earlier bootlegs. As for the BBC tracks, we'll have to leave them for later. But there are upgrades among them. Why don't they just release a CD version!! :( I don't do download, like lots of other people out there.
" Well you've only get yourself to blame if you don't download.. your loss... "
As opposed to your "lossless". One word to "Money": This one is in my opinion a new found, cause it misses the piano overdub and the lead vocal didn´t have a reverb and I don´t remember it from any bootleg released in the past thirty or somthing years. Bad To Me has noise reduction and speed corrected, from what i hear on the preview. The stereo mix of Money is actually two mono mixes in sync, one in the left channel and the other in the right. As the vocals are in the two mixes, in the stereo picture they are in the center. 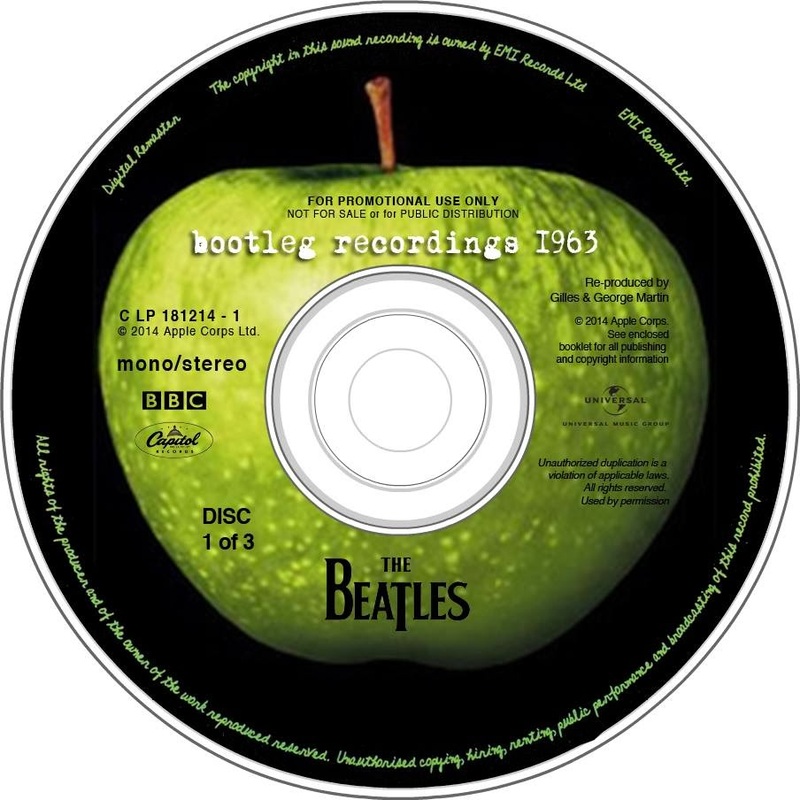 So, the mono mix of the Bootleg 1963 CD is the first mono mix, which is the same as the left channel from the stereo mix. Confused, ain't that? How do I printout those things? I bought staples CD DVD labels, however it seems that labels that you provided with are a bit smaller or smth like that. I used label creator pro.